I'll be at Drupalcamp London 2017, next weekend; see you there? Long-term readers will know that every year I exhort UK Drupalers to go to a very particular Drupal event and this year is no exception: you should buy tickets for Drupalcamp London! Tickets for the Saturday and Sunday are just under £50, and concessionary tickets for the Friday CxO day (which I can't make, but I'll be around Friday evening) are less than £30. 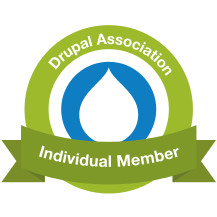 And I can safely say—again, I always say—that it's the best Drupal value you'll get of any conference or camp I've ever attended. This year I'm helping out as a volunteer, so you might find me stuck in a particular room, or wearing a particularly garishly coloured T-shirt. But do come and say hi, won't you? ... To do that, of course, you'll need to buy tickets first!